Named one of TIME magazine’s "100 Most Influential People"
Lab Girl is a book about work, love, and the mountains that can be moved when those two things come together. 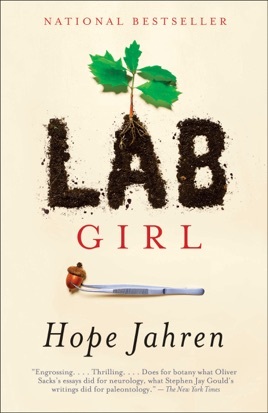 It is told through Jahren’s remarkable stories: about her childhood in rural Minnesota with an uncompromising mother and a father who encouraged hours of play in his classroom’s labs; about how she found a sanctuary in science, and learned to perform lab work done “with both the heart and the hands”; and about the inevitable disappointments, but also the triumphs and exhilarating discoveries, of scientific work. 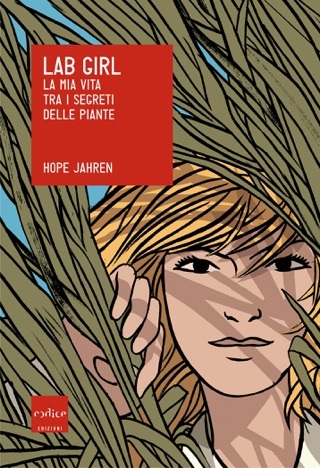 Jahren’s probing look at plants, her astonishing tenacity of spirit, and her acute insights on nature enliven every page of this extraordinary book. 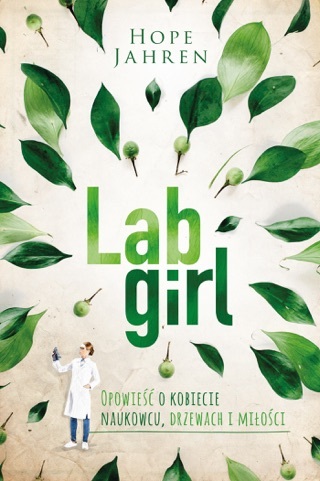 Lab Girl opens your eyes to the beautiful, sophisticated mechanisms within every leaf, blade of grass, and flower petal. Here is an eloquent demonstration of what can happen when you find the stamina, passion, and sense of sacrifice needed to make a life out of what you truly love, as you discover along the way the person you were meant to be. Jahren, a professor of geobiology at the University of Hawaii, recounts her unfolding journey to discover "what it's like to be a plant" in this darkly humorous, emotionally raw, and exquisitely crafted memoir. In clever prose, Jahren distills what it means to be one of those researchers who "love their calling to excess." She describes the joy of working alone at night, the "multidimensional glory" of a manic episode, scavenging jury-rigged equipment from a retiring colleague, or spontaneously road-tripping with students to a roadside monkey preserve. 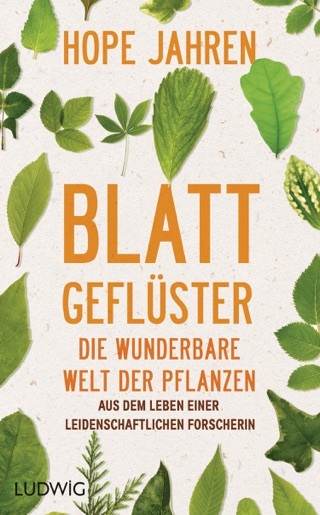 She likens elements of her scientific career to a plant world driven by need and instinct, comparing the academic grant cycle to the resource management of a deciduous tree and the experience of setting up her first desperately underfunded basement lab to ambitious vines that grow quickly wherever they can. But the most extraordinary and delightful element of her narrative is her partnership with Bill, a taciturn student who becomes both her lab partner and her sarcastic, caring best friend. It's a rare portrait of a deep relationship in which the mutual esteem of the participants is unmarred by sexual tension. 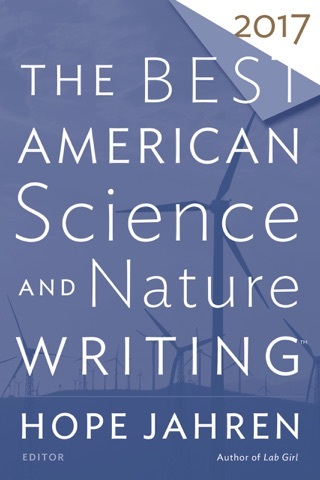 For Jahren, a life in science yields the gratification of asking, knowing, and telling; for the reader, the joy is in hearing about the process as much as the results. 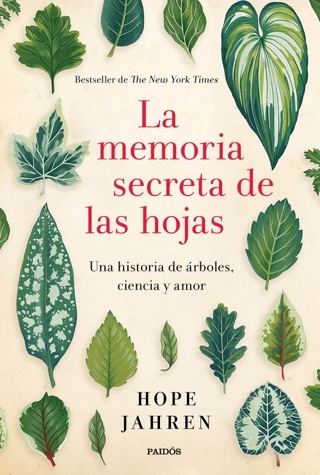 Hope Jahren's fascinating career in paleobotany is crystallized in this addictive memoir. Part adventure, part cautionary tale for women in a male-dominated field, her story is deftly woven with snippets of literary classics. I'll never look at a tree in the same way again. In fact, I'm going to plant one in her honor in our back yard! Started out well.....then became pedantic and rather boring. I thought the author just wasn’t personal. An unusual but fascinating memoir by an enthusiastic scientist who is keenly aware of being a woman in science and the headwinds that come with it. I loved reading about her one-of-a-kind relationship with Bill, her passionate bonding with plants and her labs, and the vagaries of succeeding in academia. Would loved to know more about Bill's place in her family circle and wish she would have told us. But all in all, a page-turner by a gifted writer. Highly recommended.